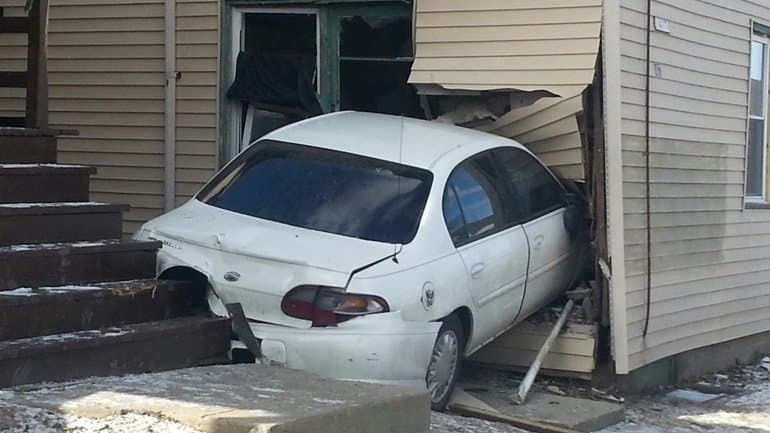 Have you ever wondered what would happen if a car drove into your house? While there is the car insurance and the home insurance, you might be confused on the exact direction that the case would take before you can have Jenkins Restorations come to restore your home to its original condition. We’d like to help you understand the different policies that come into play. Ideally, any person that causes an accident is liable for the damages. The driver responsible for the car that smashes into your home is at fault, they will be responsible for the damages. There is property damage, in the vehicle insurance cover and this will cover the damages up to a given limit. If the damages amount to $10,000 and the coverage has a limit of $20,000, the insurance will pay fully. However, what would happen if the damages are more than the limit of $20,000? If the damages are more than the property damage cover, your homeowner’s policy will cover for the additional damages. A standard home insurance policy states vehicles among the things that may cause damages to your home. As such, you should get the damages covered, but it would be important to verify that your policy lists vehicles. What if You Are The Driver? Surprisingly, even when you are the one driving the car at the time of the accident, the same rules should apply. However, in this case, your auto policy will cover the damages to your car, while the homeowner’s policy will be used to cover for the damages on your house. It is important to read your policies carefully so that you can be sure of what is covered. You should contact your insurance agent immediately after the accident. In cases where homeowner’s policies have very high deductibles, a professional Jenkins estimator will assess the level of damage to determine if the cost would exceed the deductible. In high insurance deductible cases, if the damages to your home are insignificant, it may not be worth filing a claim. If it is the your vehicle that causes the damage, you will be claiming from both policies, which will mean more deductibles. If you have the same insurer for car and home, you may get a waiver. It is important to weigh all the options before making a decision on whether to file a claim or pay repairs out of pocket. Now that you know the insurance issues, contact Jenkins Restorations for repair services. We are experienced in handling all types of damages. We offer 24/7 emergency services and can be reached at any given time. We will restore your property and carry out all the necessary repairs, and you can go back to your normal business without much worry. Get in touch with us today, to find out more about our services. Let Jenkins Restorations help you get your property…and life, back to normal after vehicle damage.